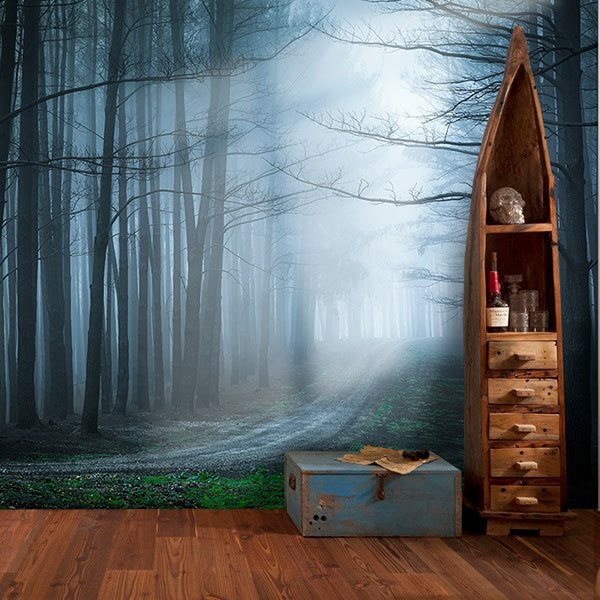 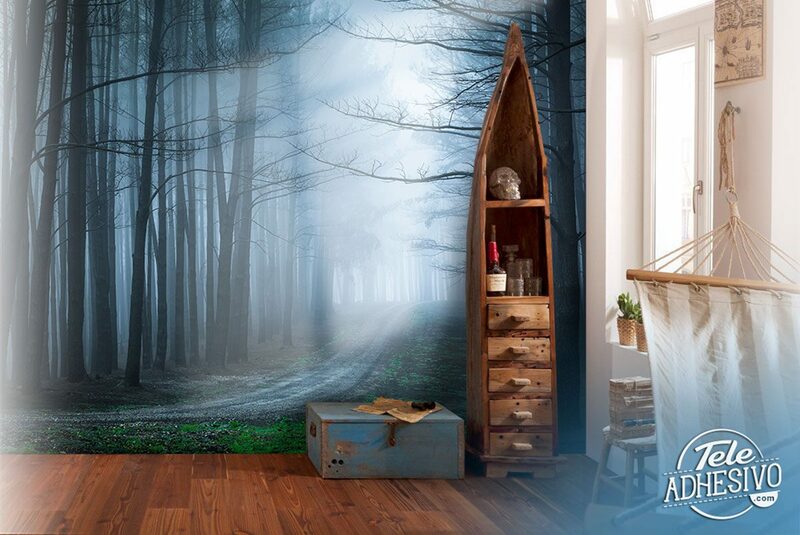 Wall mural The black forest. 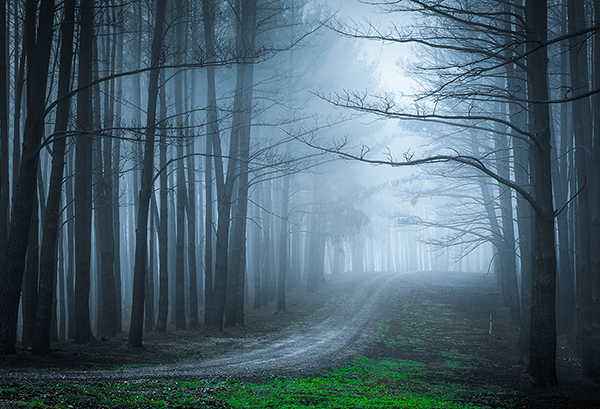 Mysterious image of a dark forest crossed by a dirt road, with a faint glow of light in the background. 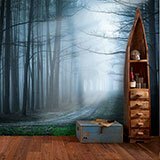 An enigmatic photograph full of intrigue for its contrasts, to decorate any room with originality, breaking with the clichés.